There are SO many Eastern influences in 19th century culture, from Puccini's operas Madama Butterfly and Turandot (I'm obsessed with the Chinese motif in the beautiful Là sui monti dell'Est lullaby) to the ballet Le Corsaire, Borodin's Steppes of Central Asia, Tchaikovsky's Arabian Dance from the Nutcracker Suite, and Rimsky-Korsakov’s stunning Scheherazade, which is one of my all-time favourite classical pieces - I've attended a good dozen performances, including one by the brilliant Young Musicians Symphony Orchestra this week at St John's Smith Square in London. Scheherazade is the storyteller in One Thousand and One Nights, the collection of medieval Middle Eastern folk tales about a Persian Sultan who plans to marry a new virgin each day after beheading the previous day’s wife. 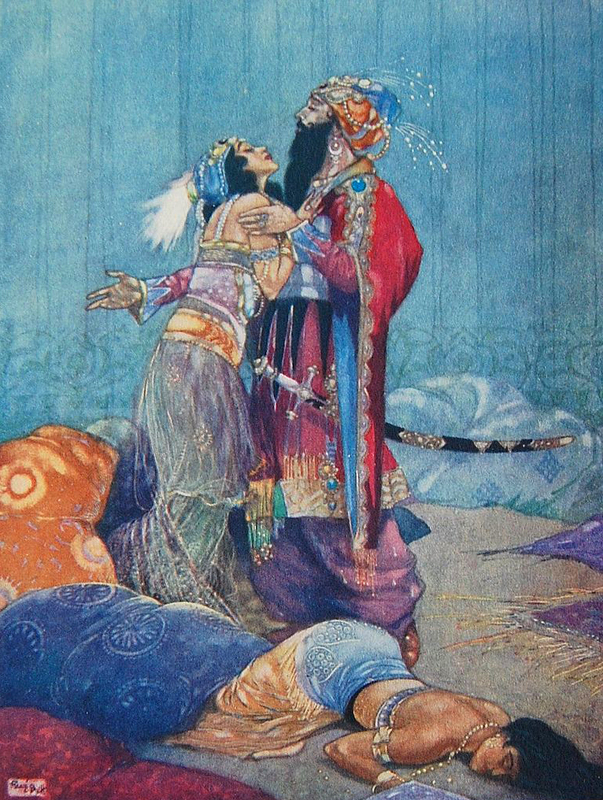 On her wedding night, Scheherazade starts telling the king a captivating story, only stopping as dawn breaks and promising to finish the story that night. She tells him a new story each night for 1,001 nights, during which time he falls in love with her, spares her life and makes her his queen. This intriguing tale is woven into a 44-minute symphonic suite packed with colour, drama and melodies - I'd recommend listening to this particularly lively rendition from the Vienna Philharmonic led by Valery Gergiev.